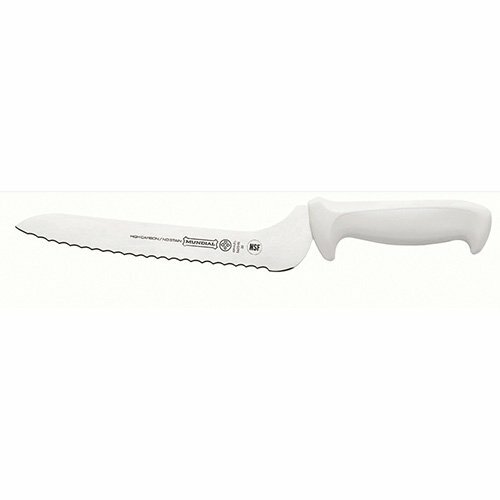 Mundial's 5800 Mundigrip Series knives have an unique, multi-function handle design which minimizes fatigue, muscle strain, and overall hand and arm stress during repetitive stabbing, cutting or slicing tasks. They all have a non-slip, ergonomic grip which provides optimum control and performance. The knives all have antimicrobial handles that guard against the growth of bacteria, yeast, mold, and fungi. The Mundial Matrix Series is made from high-carbon German stainless steel, ensuring greater durability and the highest edge retention under the most demanding conditions. The ergonomic curved handle design provides the utmost in comfort and control. 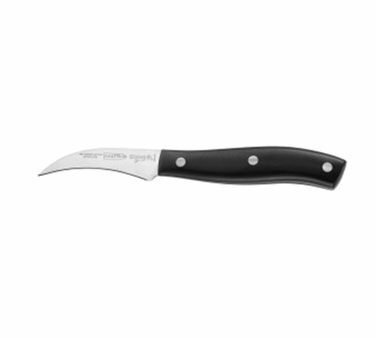 These knives are securely fitted to a full tang handle with three stainless steel rivets. The blades and handles are matched for perfect balance and ease of use. The Mundial Matrix series covers a full line of products that make food preparation faster, easier, and more comfortable. Marks by Mundial cutlery is made from high-carbon Japanese steel, ensuring greater durability and the highest edge retention under the most demanding conditions. Ergonomic non-slip grip handles assure extreme comfort for long term use. 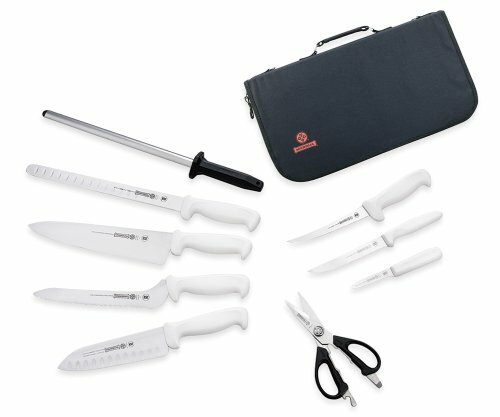 Marks by Mundial offers an entire product line to handle all of your food preparation needs. The blades and handles are matched for perfect balance, which minimizes fatigue. NSF approved, these knives are treated with sanitized antimicrobial protection, which protects the knife handles from bacterial growth. The Marks series of products meet all international safety and health standards. A cut above the rest! The best addition for a busy kitchen! 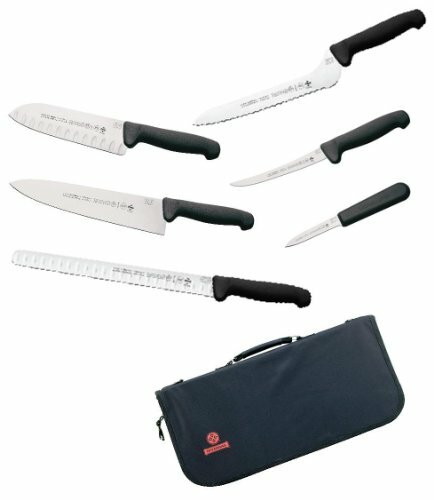 This professional knife set includes 4 Tiger Chef Cutlery 7-Inch Serrated Edge High Carbon Stainless Steel Sandwich Knives. Also includes a free Cut Resistant Kitchen Glove, size large. Ready, set to prep! 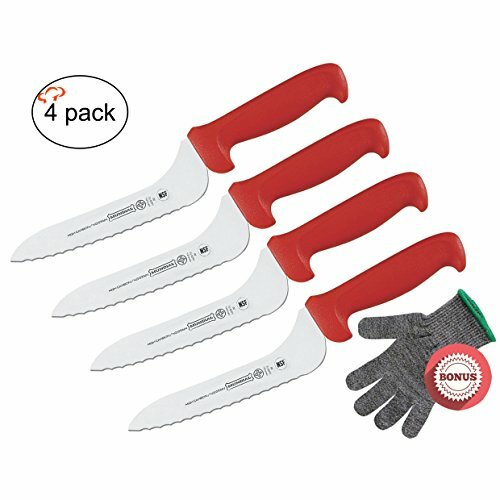 These - No Rust No Stain Knives - are crafted from high-carbon stainless steel in order to combine the highest edge retention with easy re-sharpening. Each knife features an ergonomically designed handle that provides a secure non-slip grip even when wet. A good grip and perfect balance minimize fatigue and make even large-scale food preparation fast, easy and precise. All tools are NSF approved, meeting all foodservice industry standards for sanitation.